We are actively involved in offering Herbal Sleeping Capsules / Herbal Sleeping Pills. 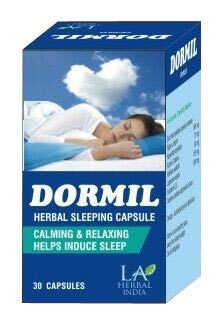 Dormil Sleeping capsules are 100% Herbal Formulation, made by the qualified experts. The Sleeping Pills can be availed from us at the market leading price.